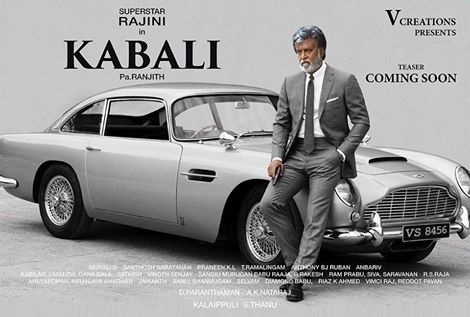 Kabali first look teaser of May Day ! Superstar Rajinikanth Kabali film is heading with its post production works and its first look teaser to be out this May Day. Close Soures of the unit revealed that Teaser editing works are almost completed and on May 1st Kabali first look teaser will be out. Pa Ranjith directorial film is touted to be an commercial action entertainer in which Rajini will be seen as aged gangster. Radhika Apte, Dhansika, Dinesh, John Vijay, Sampath, Rithwika and others are playing important lead roles in the film. Santosh Narayanan is rendering tunes and Kalaipuli S Thanu is producing this June release flick. Write & Share about "Kabali first look teaser of May Day ! | Kabali Tamil Movie News | Cinema Profile" !